Water breaks just got much more manageable for these New York dogs! 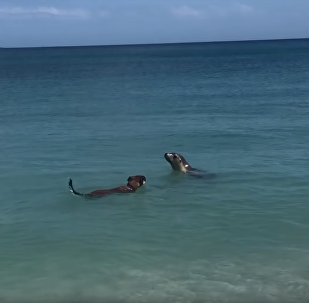 Viral Hog video recorded August 15 shows two Staten Island pooches working together to lap up some water and beat the heat. Recently introduced to the "Doggie Fountain," Tyson is seen in the clip taking charge with a press of his paw. 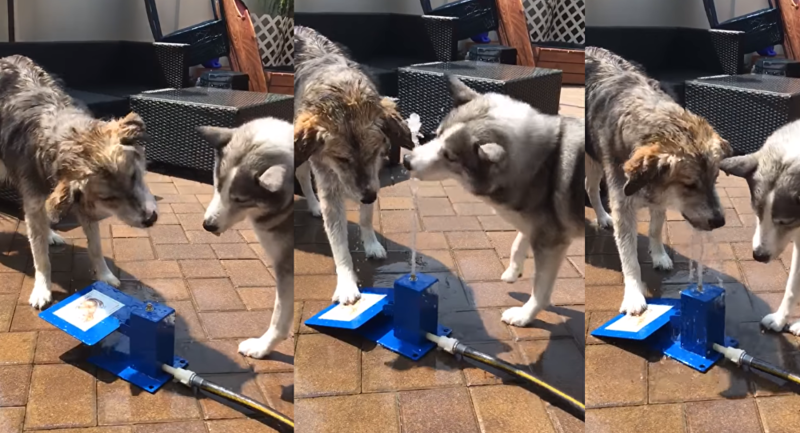 Seeing that his brother is eager to figure the contraption out, Champ takes on the role of snapping at the streams of water until Tyson can make sense of the fountain. Looks like it'll be less panting and more playing for these pups!